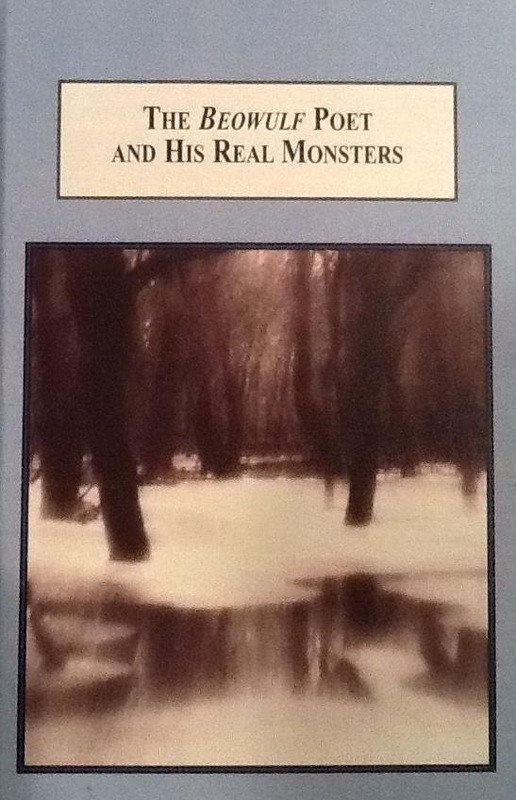 The Beowulf Poet and His Real Monsters: A Trauma-Theory Reading of the Anglo-Saxon Poem (Edwin Mellen Press, 2013). This monograph marks the first time that the postmodern critical model of trauma theory has been used to gain insight into the classic Old English poem. Scroll down for reviews, a brief description, the Table of Contents, and a promotional flyer. Read the Introduction here. Recipient of the Press’s D. Simon Evans Prize for distinguished scholarship. More than 650 libraries around the world, including major research institutions, have acquired either the print or ebook edition to date. View the complete list on WorldCat. Available in both hardback and softcover. See the Mellen website or contact sales@mellenpress.com. Telephone orders can be placed at 1-716-754-2789. Scholarly journals are invited to request a free review copy by emailing librarian@mellenpress.com. Praise for The Beowulf Poet and His Real Monsters . . . This book opens a new line of inquiry into the Old English poem, specifically trauma theory, which attempts to map the psychological typography of an author and his or her culture, that is, when the text appears to be wrought of traumatic experience. Indicators of a “trauma text” are narrative techniques often associated with postmodernism — expressly, intertextuality, repetition, a dispersed or fragmented voice, and a search for powerful language. The anonymous Beowulf poet made extensive use of all four narrative techniques, suggesting he and his culture were suffering from traumatic stress. The author brings together knowledge from myriad disciplines — among them history, anthropology, sociology, biology, and psychology, with special emphases on the branches of psychoanalysis and neuropsychology — and focuses his trauma-theory reading on the poem’s original language.